It has been a good year on this blog. We will have achieved almost a million page views in 2014. I’m projecting 950,000 versus 553,885 for the previous year for a life of the site total of 2,740,000. The number of unique, different people (browser fingerprints) visiting the site during the year will have jumped to about 375,000 compared to 167,894 for the previous year. 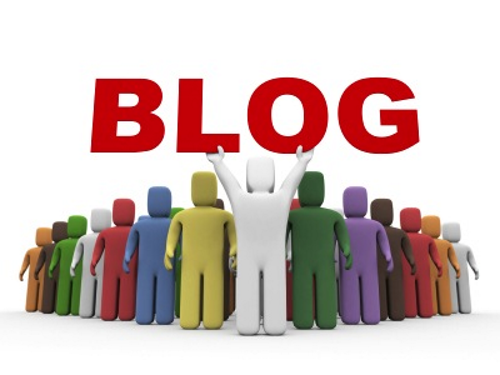 Thank you, many of you, for suggestions on how to improve the blog. Providing share buttons for users’ Facebook, Twitter and Google+ accounts on each and every top-level web page proved very beneficial. I am going to start providing similar buttons on all pages. (I just noticed that the now gloriously redesigned Holy Shroud Official Website, sindone.org, has done the same thing on every page). Having certain information on each and every page proved popular with users. This included the search box and the TEDx talk by Barrie Schwortz. I’m adding the new 15 minute video by Russ Breault and, hopefully, early next year, a “What is Being Discussed and Questioned” page. Links to various papers, interviews, etc. maintained in this blog’s storage space will soon be listed on a distinct catalog page. I’m also adding a tip sheet for reader comments with easy to understand instructions for including hot links to images and videos from other websites. Comments are the never ending dialog and debate of ideas that makes this site useful and interesting; there have been 12,500 such comments this year. We hit our stride in 2011 and doubled the number of page views in just three years. 2014 showed great growth. We won’t hit a million by year end but it will be close. WordPress only started counting unique visitors for full years last year. A visitor (a unique browser fingerprint) is only counted once in a calendar period such as a single year. The same visitor may be counted in each year, however. We will come close to 400,000 visitors by year end compared to 167,894 last year. Yes, Sindone.org looks sophisticated and auto-detects tablets and smart phones. Shroud.com on the other hand does not inspire confidence or invite exploration. It is a turn off. Hire a high school kid for a week to at least dress up the home page. You know, something, Paulette, when a website and home page is consistently, month-to-month and year-to-year, number one in Google, you have to be very cautious about making changes. In other words if it aint broke don’t fix it. Shroud.com is number one because of inbound links. Inbound links can be thought of as votes of confidence. The site has the best material. It is updated frequently. Barrie makes sure everything is perfect from text to links to archives to summaries. The home page, maybe, could be made to look a bit more aesthetically pleasing, okay. But that is a minor detail. Barrie has a lot of other priorities like preparing for next year’s exhibition. And, by the way, until recently, sindone.org was really frightfully still advertising the “upcoming” 2010 exhibition. Moreover, see Moreover see: Bravo! Wonderful Facelift of shroud.com from just about three years ago. Add Pinterest and Instagram sharing to the blog. The official Shroud site should do likewise. Okay on Pinterest; I’ve add it. I believe Instagram is for sharing only your own work product and photographs, at least that’s my reading. Future Testing of the Shroud Is Fluorescence Still in Question?